“Wearable technology“, “wearable devices“, and “wearables” all refer to electronic technologies or computers that are incorporated into items of clothing and accessories which can comfortably be worn on the body. These wearable devices can perform many of the same computing tasks as mobile phones and laptop computers; however, in some cases, wearable technology can outperform these hand-held devices through their integration into bodily movements and functions through inbuilt sensory and scanning features, for example. Wearables include: smart watches, fitness trackers, head mounted displays, smart clothing and jewellery. There are also more invasive varieties including implanted devices such as micro-chips or even smart tattoos, insulin pumps, or for contraception. 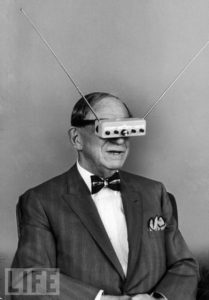 The purpose of wearable technology is to create constant, seamless and hands-free access to electronics and computers. Wearables are all about data. Thanks to recent advancements in sensors, we’re able to collect more information about ourselves than ever and use that data to make healthcare personal and tailored to our needs. Traditionally, qualitative health research and much clinical interaction relies on self-reporting by consumers, which is then interpreted by researchers and published for incorporation into practice by health practitioners. Along the way, much important information is “lost in translation”. New consumer healthcare technologies are brokering a shared informational interface between caregivers, clinicians, communities and researchers, allowing practitioners to access richer and more detailed empirical data on health consumer activity and their participation in health-seeking activities. Consumer health technologies offer potential for care to be more equitable and patient-centred. The technological promise also brings concerns, including the impact on the patient-provider relationship and the appropriate use and validation of technologies. Technologies are also developed with particular service-users in mind, and rarely designed with the participation of people from structurally and culturally marginalised communities. In turn, the impacts of these technologies on health service education, planning and policy are far reaching. It is important that technology is not demographically blind, from a public health and community health perspective it must not reinforce the structural inequalities that exist between those who have access to health and those who haven’t. 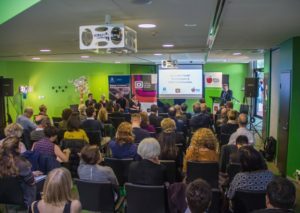 The Centre for Culture, Ethnicity and Health, in partnership with the University of Melbourne’s Research Unit in Public Cultures and the Better Health Channel, recently organised a seminar and stakeholder consultation in Melbourne on July 28th with the aim of shaping a research agenda on wearable health technologies and culturally and linguistically diverse (CALD) communities. Typically wearables have been marketed toward the ‘wealthy worried and well’ demographic and the purpose of the seminar was to discuss both the generic issues that emerging wearable technologies present, as well as the unique issues for people from diverse backgrounds. The three hour event brought together clinicians, academics, developers, community organisations, and policymakers to consider the future issues with these technologies. The first speaker was University of Melbourne researcher and lecturer Suneel Jethani who expressed scepticism about what wearable health technologies really may deliver for health, particularly for CALD communities. Suneel explored the growth of wearable health technologies through the notion of the pharmakon, the notion that every medicine is also poison, with the devices having capacity to be both beneficial and harmful. Janette Gogler, a Nurse Informatician from Melbourne’s Eastern Health described a randomised control trial of emerging technologies for remote patients with chronic heart failure and chronic obstructive pulmonary disease (COPD). In this trial patients took a number of their own physiological measurements including electrocardiography (ECG) monitoring, blood pressure, and spirometry. While the trial led many patients to feel more in control of their health through a better understanding of their physiology, there were also challenges, including having to manage their expectations of the technology, where patients who became suddenly unwell were upset that the system had not given them forewarning, even though the issues were outside the scope of the devices. Janette also raised the issue of research excluding speakers of additional languages. The final speaker was Deloitte Digital partner Sean McClowry, who noted that the uptake of wearable health technologies has been slower to reach ‘digital disruption’ compared to the smart phones, but saw the likelihood of exponential growth through a new model of care. Sean raised questions about the unprecedented nature of data: how to make it high quality and its analysis meaningful. The session by the three panellists was followed by two youth respondents and a question and answer session and then break out groups which developed further questions and issues for an emerging research program. In the stakeholder consultation a number of critical themes emerged from many participants: the need to carefully manage privacy; the lack of accuracy of much consumer information; certification of apps; Western models of individual health hard-wired into the platform; the potential of peer support from new technologies; challenges for existing workforces and roles; and the potential of research to stigmatise as well as assist CALD communities. What was agreed was that consumer health technologies were only going to continue to grow and that no part of the health system would be undisrupted by the changes ahead, both intimidating and exciting!